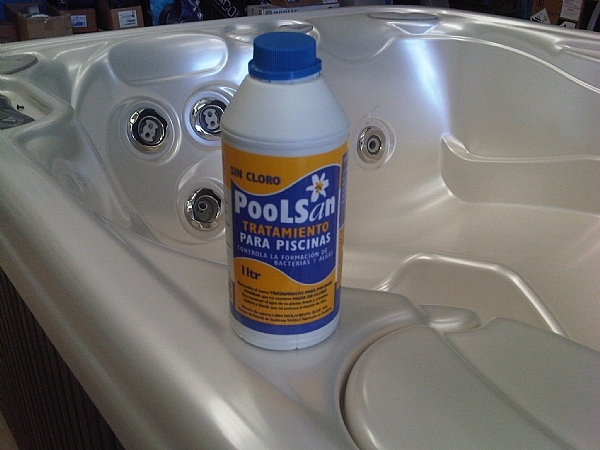 "PoolSan" is a saturated complex ionic aqueous solution containing copper, silver, zinc, aluminium and gold. The microscopic action of these natural mineral ions with the algae and bacteria are twofold. First, the algae and bacteria in the water are destroyed through a change in their enzyme processes as the ions break down their DNA structures and cell walls. Secondly, all these charged particles floc together so they can be trapped by a filter. 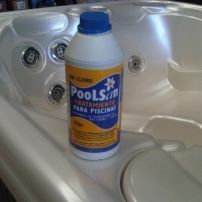 The ions maintain a stable "PoolSan" residual in the water until they are used up by this process. The advantages and desired effect of this pool treatment solution will be to improve the quality of the swimming pool water and drastically reduce the exposure of swimmers and lifeguards to chlorine and its irritating and harmful effects such as asthmatic conditions. For prices and detailed information on how this product works please call us.